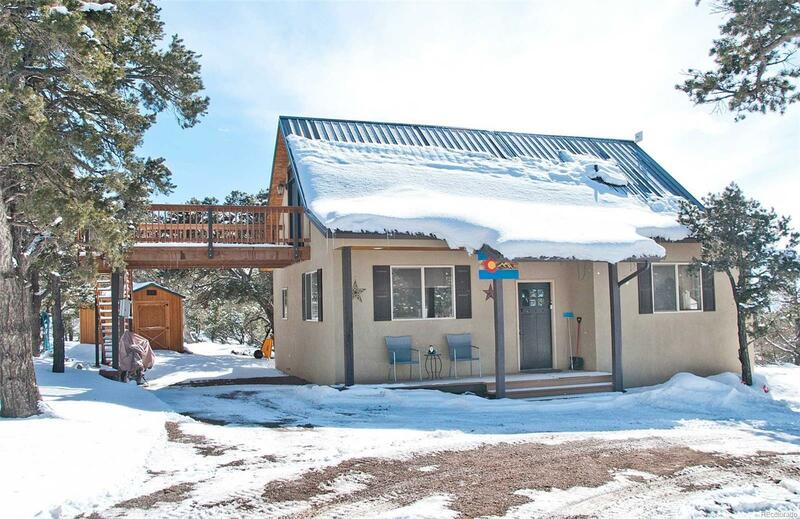 Approximately 2 ac with 3 bed/1.75 bath meticulously-maintained home built in 2014 in the desirable Chalet I. The house sits on a lovely 1.042 ac consolidated lot plus additional 0.995 ac consolidated buildable lot! Fabulous decks off front & back of home with lovely private backyard. Additional large east facing balcony off the new upstairs master suite with gorgeous tile shower & tremendous morning views of the mountains off balcony. Plenty of storage in eves off master. The kitchen is well laid out with center island, breakfast bar, electric appliances, large pantry and washer/dryer closet. ETS and electric baseboard heat throughout. Laminate flooring in lower level and carpet in master. Amish made wood storage shed provides extra space. Decks are made of composite wood for long lasting wear. A circular drive provides easy access. This wonderful home is high on mountain and offers fabulous views of both the valley and the snow capped mountains. Many furnishings negotiable.